Your images are created by me being present in the moment and letting your love shine in an authentic and honest way. I will step aside without expectation of what I "should" photograph, and just let the magic happen, allowing you to be the main character of your own love story. So let's join together, have fun and make amazing memories! This is where we begin our relationship - with trust. You must trust me to get inside your love story and capture it honestly, and I must trust you to allow me to do that.....so read on and we will get to know each other! Want photography tips right to your Email? 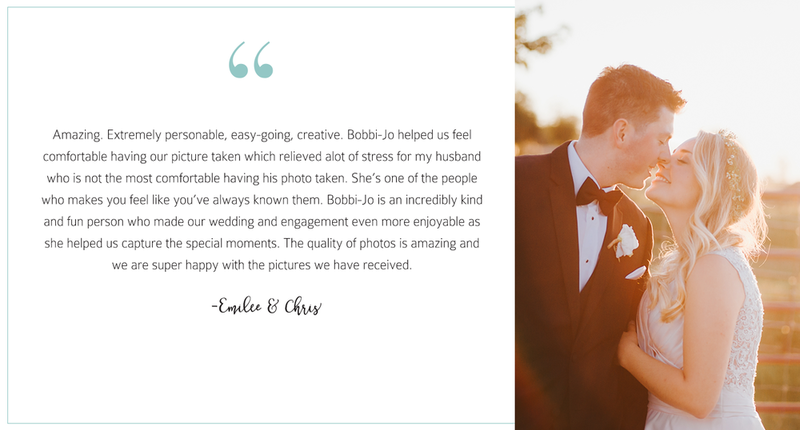 Sign up with your email address to receive tips for your wedding day or portrait sessions, as well as photography tips you can try at home! Thank you! Keep an eye on your inbox for all the fun stuff!